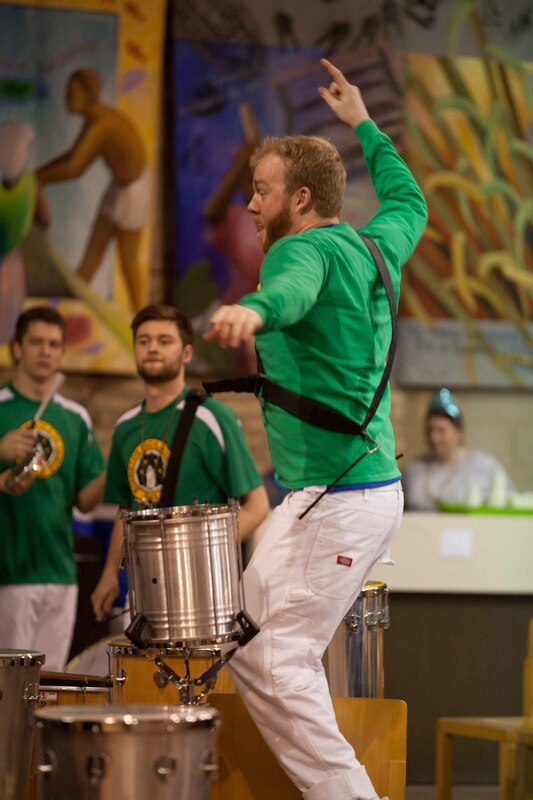 On this #GivingTuesday please consider donating to Evanston Escola de Samba. EEDS is a 501(C)(3) non-profit organization whose mission is to teach, perform, and promote Brazilian music and dance as a vehicle for arts education and community engagement in Chicagoland. Your donation will help EEDS fulfill its mission by ensuring that we have the funds to continue teaching classes and performing at Brazilian and other cultural events throughout Chicago. As a non-profit every dollar goes right back into our operating costs and every little bit helps. In addition to paying for rehearsal and storage space, instrument upkeep, costumes, and performance costs, we are committed to providing financial assistance for Chicagoland high school students who want to play music with us. 30% of our students are on full scholarships due to need, and we strive to make Samba available to all. Over the years, we have worked in collaboration with organizations such as the Music Institute of Chicago, Youth Organizations Umbrella, and the Levy Center. These outreach activities have been central to the mission of EEDS since we were founded in 2003 but we can only continue to do this with your support. So please, take a moment to visit our donation page and help us commit to many more years of building bridges across ethnic, generational, and social groups through Samba. This entry was posted in Classes, Giving, GivingTuesday, News by Evanston Escola de Samba. Bookmark the permalink.